The Grange is both a modern coffee table and a bold conversation piece. Defining structured minimalism, the Grange is crafted of sealed concrete, ensuring a rugged appearance, but smooth texture. 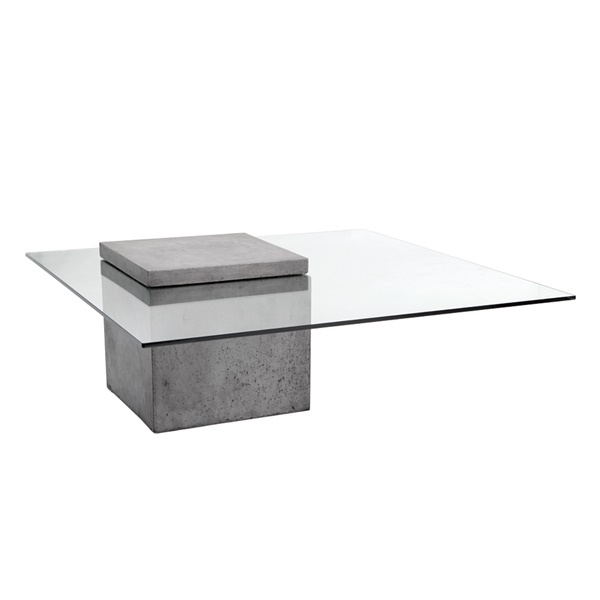 With a break resistant, off center, glass top, this coffee table celebrates unparalleled craftsmanship and design. Intended for both commercial and residential use, the unique and industrial Grange Coffee Table will add an urban elegance to any d�cor.